The latest Sony mirrorless cameras have been praised for their many different focusing options. From continuous to specified focusing zones, Sony’s proprietary autofocusing technology is among the best available for filmmakers. However, the cameras’ integration of manual and autofocus makes it difficult for some users to utilize both modes simultaneously. Fortunately, this issue has already been covered by Gerald of the Gerald Undone. 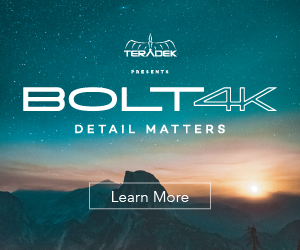 In the video below, seasoned filmmaker showcases how you can temporarily use the camera’s autofocus to lock onto a subject for accurate focusing, all while staying in Manual Focus mode to avoid unwanted refocusing/focus breathing. At first, Gerald was disappointed thinking that while brands like Panasonic had this feature available in their cameras, Sony did not. After some research, however, he discovered that Sony did, in fact, implement this option in their latest Alpha series, known as AF/MF Control Hold. To set this up, access the Camera Menu and head over to the second Movie tab. Navigate the menu until you are on Page 8, entitled Custom Operation 1. Go into the Movie Custom Key and then select the AEL Button. Then go to the third page and choose AF/MF Control Hold. Once you press Enter, the feature will be assigned to the AEL Button. It is also worth noting that you can choose to map this function onto any other button you like. However, many Sony users tend to assign the shortcut to the AEL Button since it’s not commonly used when recording video. Now, to use the feature, set your camera to Manual Focus Mode. Point your camera onto a subject and hold down the AEL Button. By doing so, the camera will temporarily enter Auto Focus for as long as you hold the button down. As soon as you’ve locked focus onto your subject, release the AEL Button to return to Manual Focus. The AF/MF Control Hold function will also work in the reverse order. 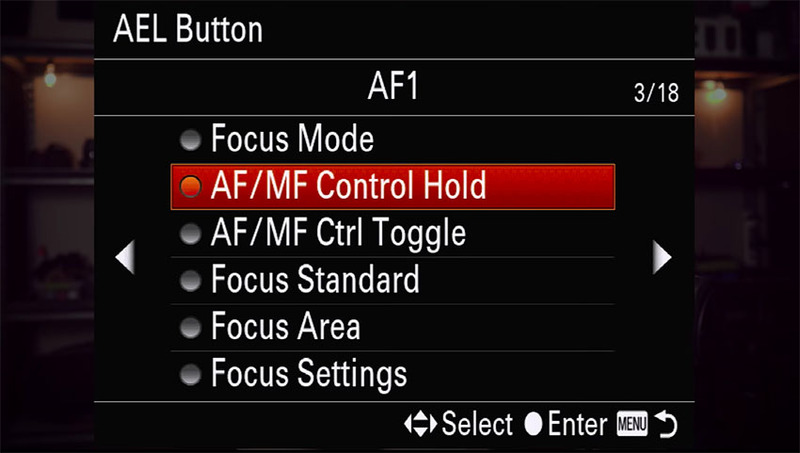 When operating with Continuous Autofocus, holding down the AEL Button will temporarily enable Manual Focus. This is very useful for situations where the autofocus may have locked onto the wrong subject in the frame, allowing you to use the Control Hold to adjust the camera’s focus on the fly.